Appleton, Wisconsin – January 30, 2019 – Waupaca Elevator Company, Inc. will showcase its dumbwaiters for commercial use at the North American Association of Food Equipment Manufacturers (NAFEM) Show in Orlando, Florida on February 7-9, 2019. As a first-time exhibitor at the NAFEM Show, Waupaca Elevator Company will debut restaurant vertical transportation solutions to this new audience at Booth 2457. Waupaca Elevator Company is one of the nation’s top designers and manufacturers of food service dumbwaiters. 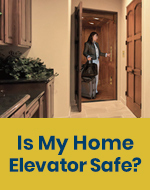 An industry leader since 1957, Waupaca manufactures commercial dumbwaiters with the same focus on quality, reliability and safety used to build its world-class residential elevators. Waupaca’s Paca-Waiter food service dumbwaiters are specially designed to streamline the transport of supplies, prepared foods, dirty dishes, and other restaurant staples from floor to floor. Ideal for a new restaurant or restaurant renovation, Waupaca floor-loading and counter-loading dumbwaiters are available in custom sizes. 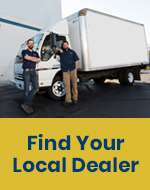 Waupaca’s extensive network of North American dealers work with builders and architects across the country to provide detailed drawings and simplify the installation process. B Label 1.5 hour fire rated hoistway doors are available for complete safety and code compliance. 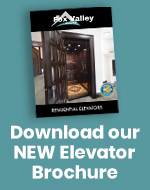 Waupaca Elevator Company Inc. is one of the nation’s leading designers and manufacturers of dumbwaiters for commercial use. Through our national dealer network, we have become one of North America’s preferred brands for both commercial and residential dumbwaiters. Waupaca dumbwaiters are engineered with quality materials and are assembled with pride at our facility in Appleton, Wisconsin.